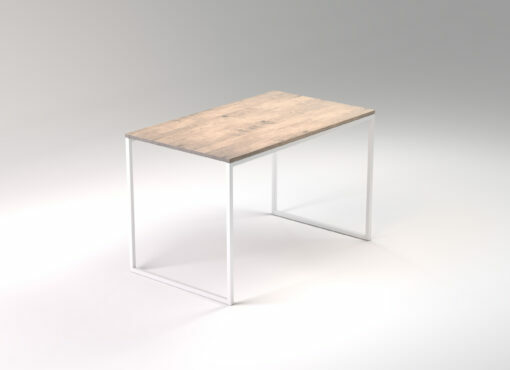 LIGHT TRE rectangular table is a handmade furniture with modern design. 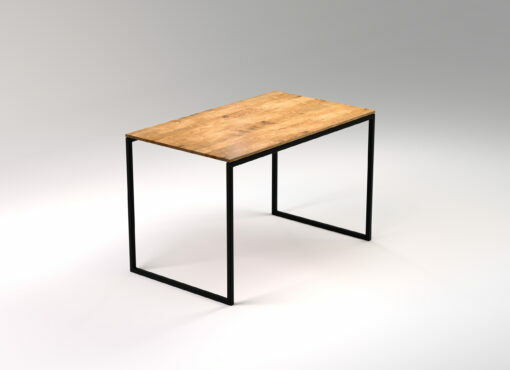 Instead of traditional table legs, the table has a solid steel frame on which the oak tabletop rests. It provides stability and durability and has a smooth, glossy white surface. 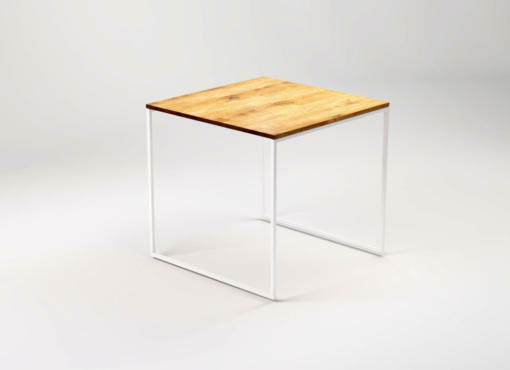 The table is supported only from two opposite ends, leaving plenty of space for the users’ legs. The elegant wooden tabletop is made of natural oak. By choosing the most beautiful pieces of wood and careful processing with traditional techniques, the surface has a wonderful texture. 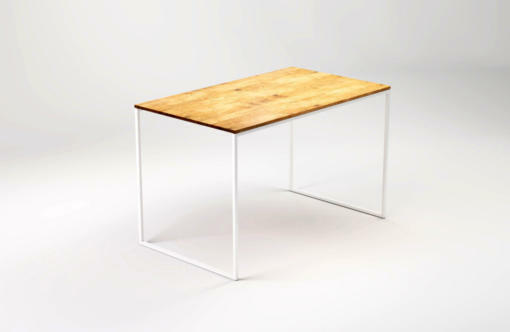 The combination of solid wood and high quality steel creates an extremely elegant piece. LIGHT TRE small table can fit even in the smallest living space. Extremely practical in cosy flats and studios. Looks great in a small kitchen or a kitchenette. If needed, it will accommodate up to 6 people. 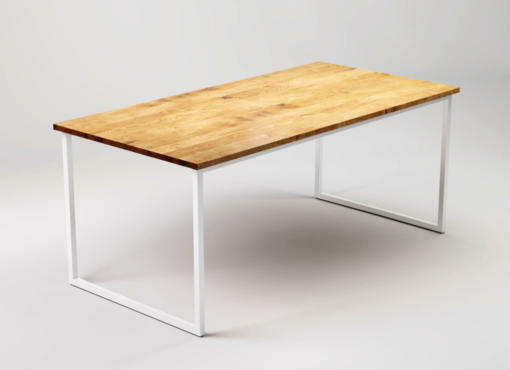 The table can also be used as a small desk in the study, home office or living room. Available in two sizes, with a length of 120 cm or 140 cm.